Stop 29 on the National Hot Dog Month Tour found me and my girls in Dartmouth , MA at Naughty Dawgs Express. 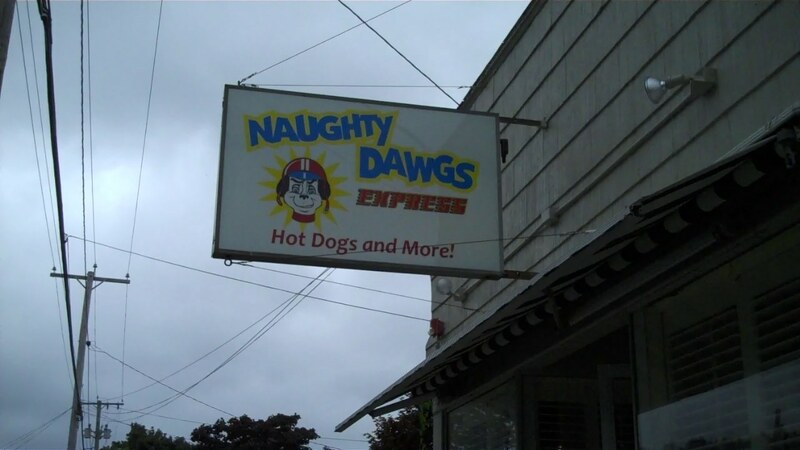 I visited Naughty Dawgs last year in Faihaven, but they lost their lease in that location last fall. Owner Ken Raposa landed on his feet and replaced the Fairhaven location with two new spots: one in New Bedford and one in Dartmouth. Since the Dartmouth location is open on Sundays, that's where we headed. Little Miss, The Photo Bomber, Miss Camera Shy and I rolled on down the highway to Dartmouth for lunch. The ride was accompanied by teenybopper music and some classic teen girl silliness that I PROMISED my daughters I wouldn't film. Drew Bennett wasn't on this outing, but still make sure you check out the Hot Dog Stories Facebook Page for some photos. Get the full story on our visit to Naughty Dawgs Express on Hot Dog Stories.